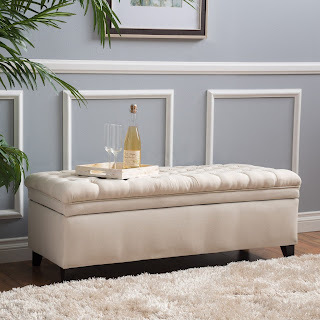 I bought a storage bench from Overstock, that I intended to use in the dining room for additional seating. (You can cram 4 kids across that thing!) However, it came up a little short, and all of the little people couldn't really reach the table. Screwed in the new legs when they dried, I added these rubber anti skid pads, so that the bench doesn't ski all over the dining room.